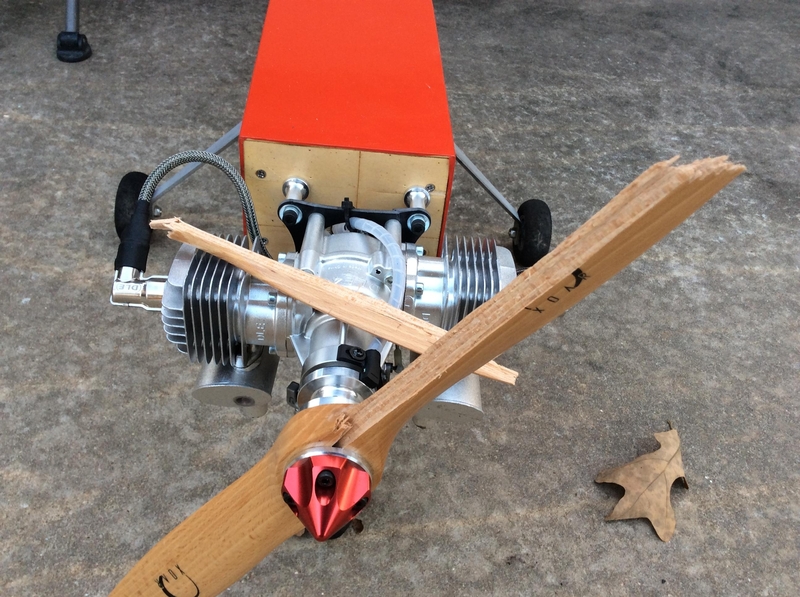 The safest and best way to start your RC airplane engine. Works on the smallest Nitro engines to the giant gas engines. The unique feature of the ROLLING Chicken Stick. is, of course, the rolling action of the padded roller. The 1/8 inch vinyl covered roller keeps this starting stick from scratching and damaging the fine edge of your expensive prop. No more fibers lodged in your prop from dragging a paint roller across it. No more rings around your shiny new spinner from electric starters. And most importantly...No more risking broken fingers! To see what people are saying about the ROLLING Chicken Stick. of the ROLLING Chicken Stick. How to use your ROLLING Chicken Stick. Actual photo of a prop strike injury. DON'T RISK THIS HAPPENING TO YOU! All of the grip styles have the same generous 5-inch padded roller. Order yours TODAY and SAVE...SOME FINGERS. All orders sent via USPS First Class Mail! SORRY, but we are not accepting any more orders at this time. This is the recommended "One Size Starts All", from the nitro's to the giant gassers. These have a slightly shorter grip. If you're starting mostly nitro's you may like the feel of this grip style. These have a slightly longer grip. If you're starting mostly giant gassers you may like the feel of this grip style. Click on the Prop to send all questions, comments, complaints or compliments to us.